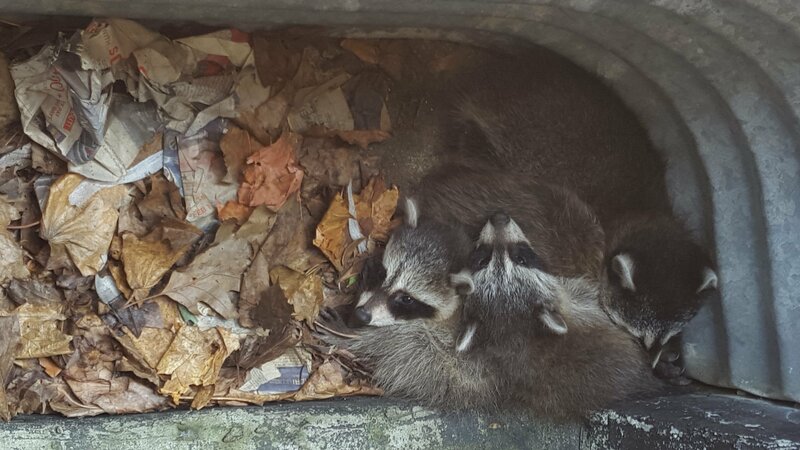 Raccoon Removal From The Attic In Scarborough - SIA Wildlife Control Inc. In this Scarborough home we found a raccoon entry point in the middle of the roof. 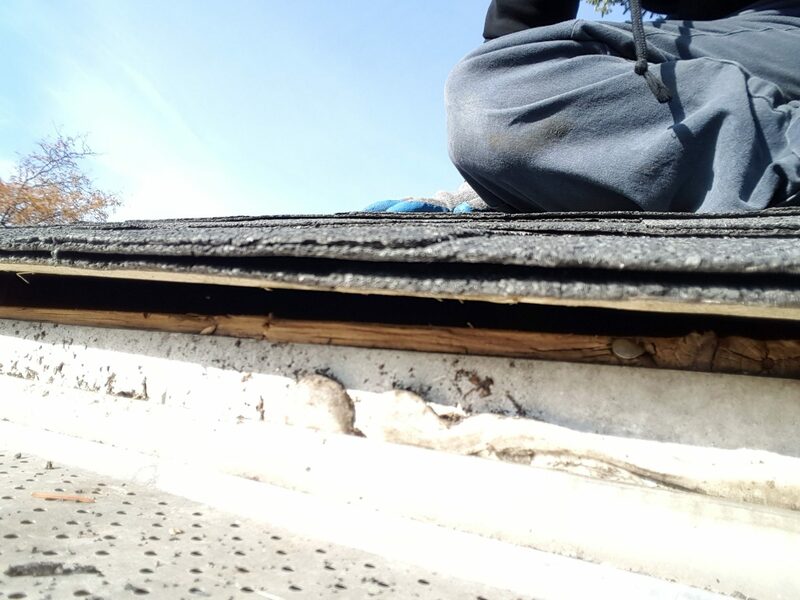 This is a common entry point when the health of the roof (plywood) is deteriorating. To remove this raccoon, we placed a one way door over the damaged area which allowed the raccoon to humanely exit the attic space. After the animals leaves, we will return to repair the area and restore the roof. Our technicians will make sure there is no leakage or future wildlife problems from there. 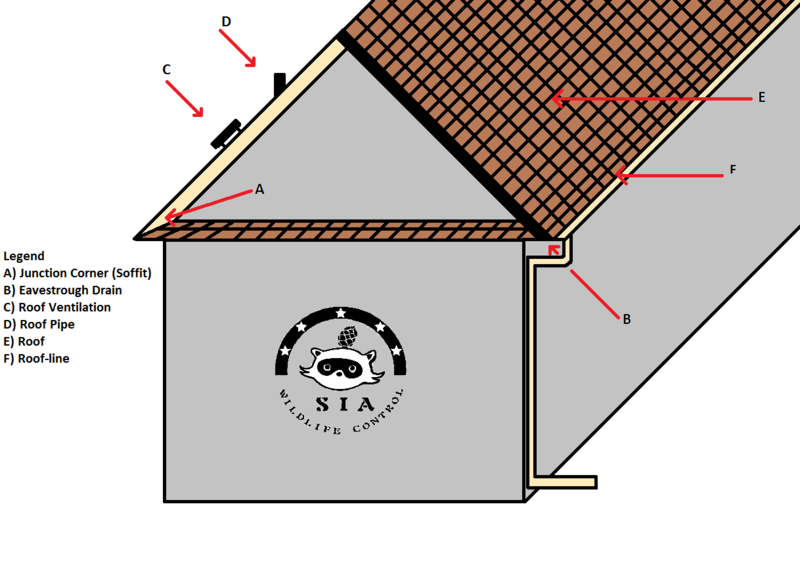 The health of the roof is extremely important. If a roof is in bad condition, no amount of prevention can help avoid wildlife problems. 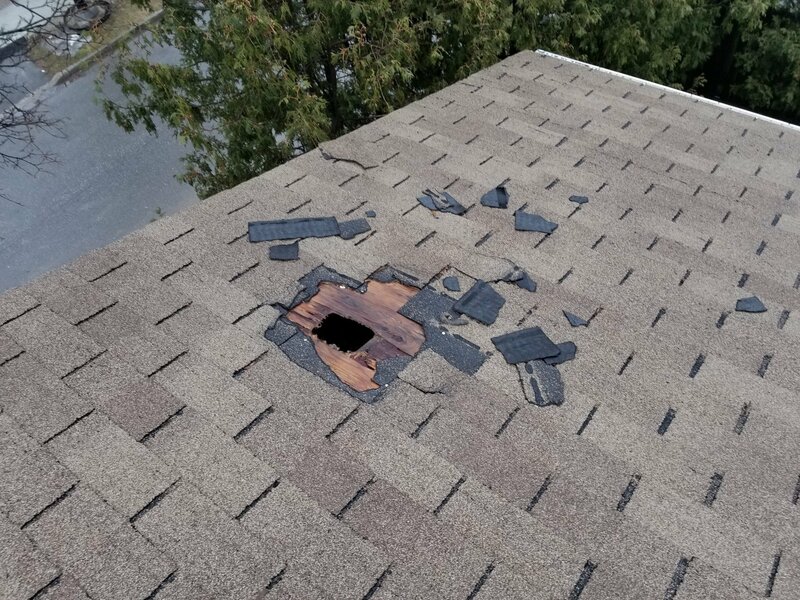 Homes need to change shingles regularly and on time in order to avoid wetness on the plywood. Animals are sensitive to rotted plywood and can easily penetrate and enter attics. Furthermore, homes between 15 and 30 years of age are at a risk if the shingles aren’t maintained. When wood is constantly in contact with water, it will begin to deteriorate. Aging, rotting or decaying are a normal process with wood, but it can be mitigated. So in order to have a healthy and strong roof, you need to change shingles on time to protect the plywood from aging. Although the plywood will age over time regardless, maintenance can prolong its life significantly. And finally when it’s due, plywood should be changed along with shingles.